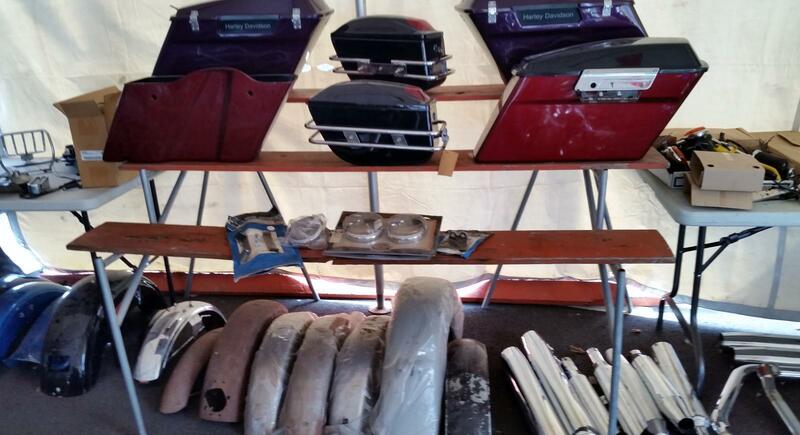 TENT SALE Just ask Sam.. We still have a variety of used part for huge discounts. 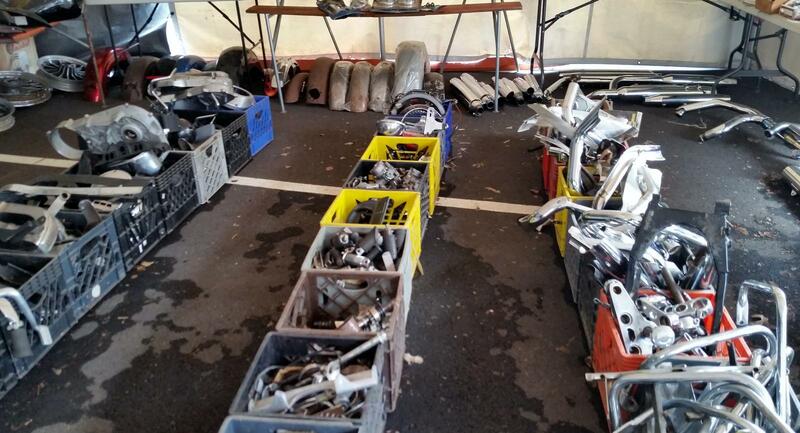 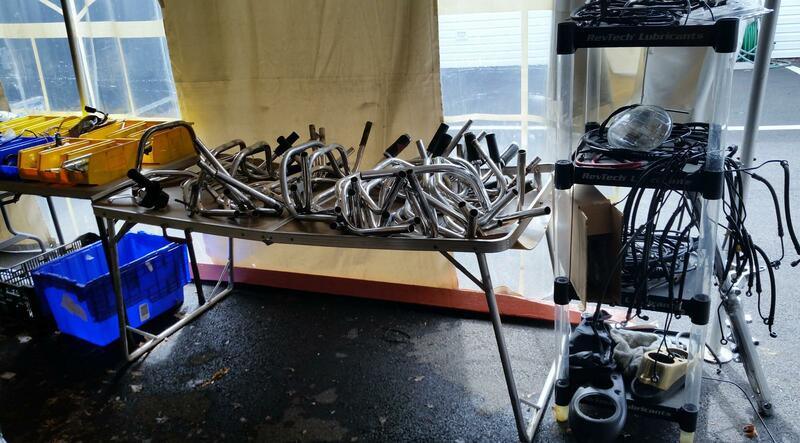 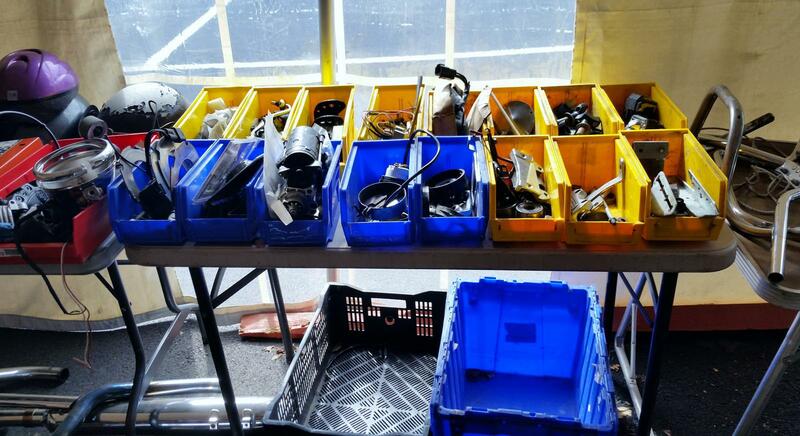 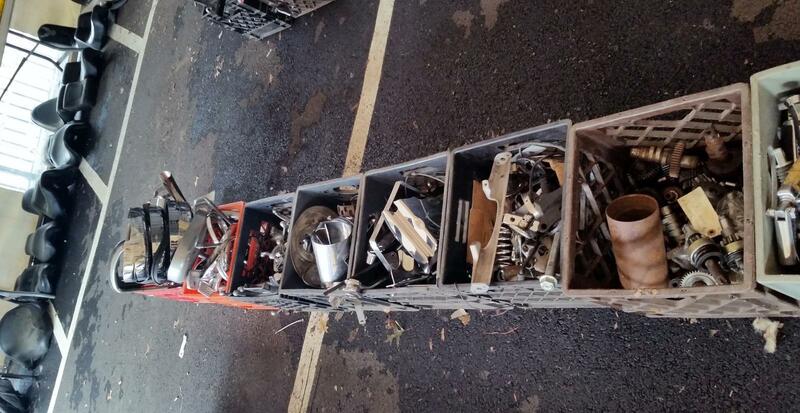 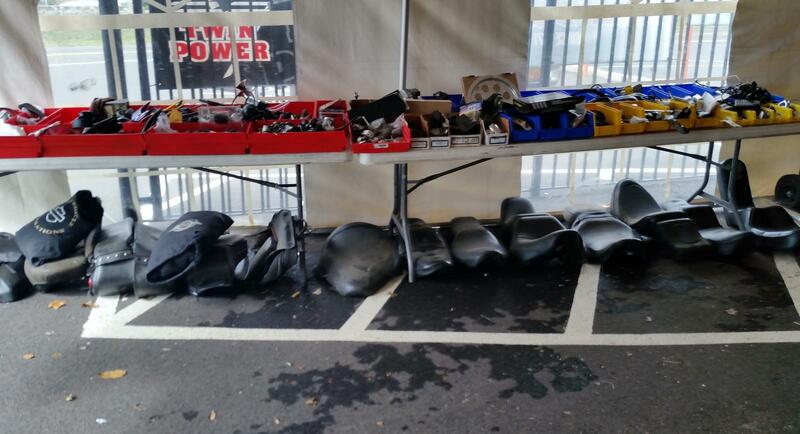 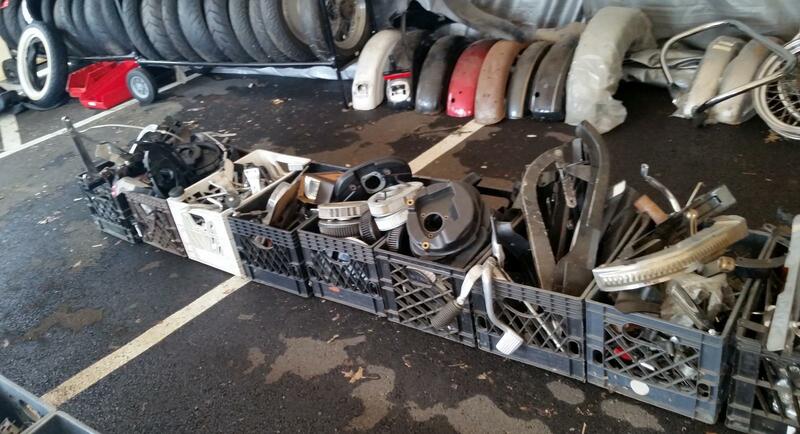 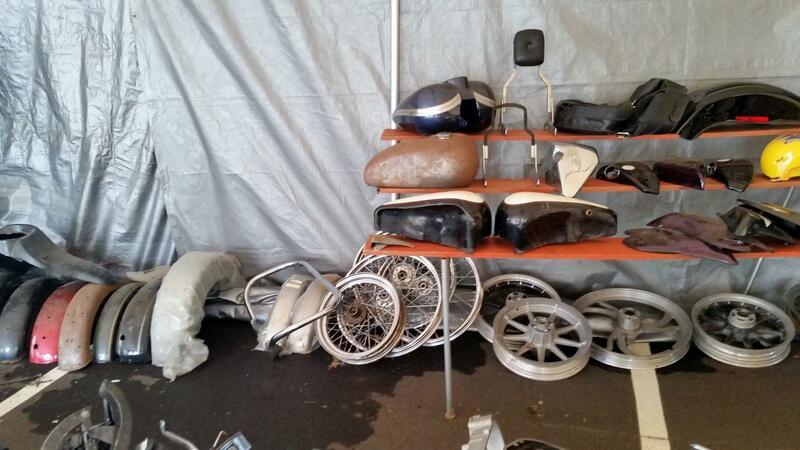 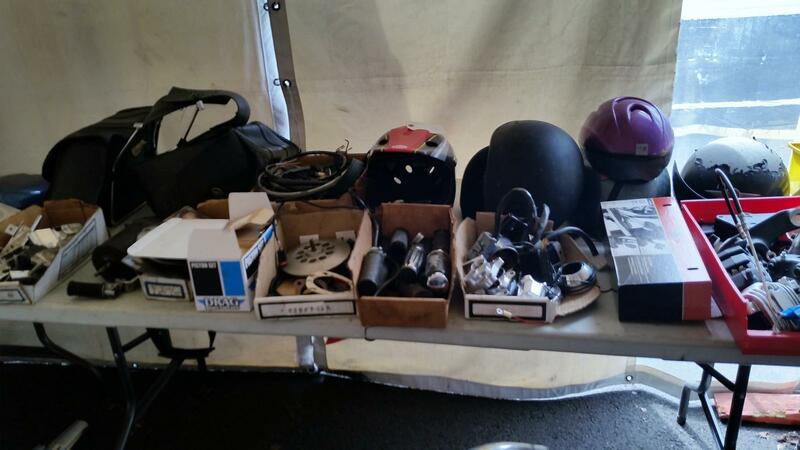 Among some of the items are gas tanks, fenders, seats, grips, pegs, windshields, all sorts of chrome, & more. 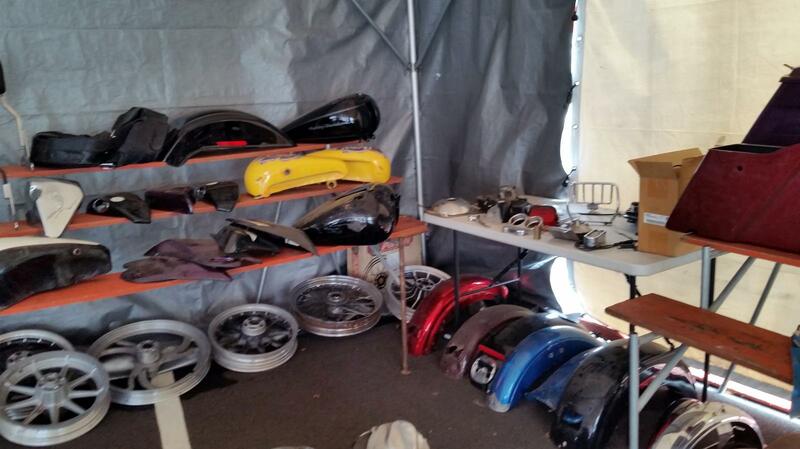 Mainly Harley-Davidson parts. 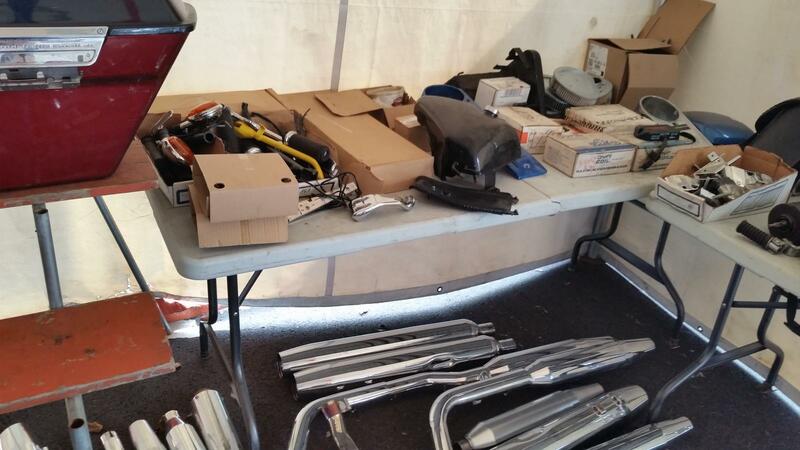 Come out and have a look at the huge assortment of items for sale.